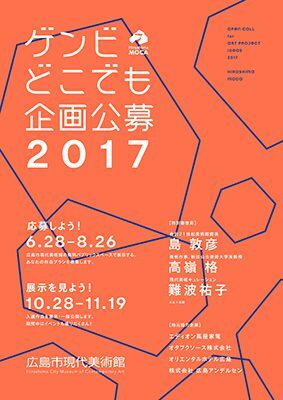 Open Call for Art Project Ideas 2017 is an open program in which artists are invited to show their work in a free public space at the Hiroshima City Museum of Contemporary Art (Hiroshima MOCA). The program accepts proposals from both Japan – and foreign-based artists that are designed for a space outside the galleries in the museum (designed by Kisho Kurokawa) and that make the most of the space’s special characteristics. An important point in judging the works will be how well the space and work draw out each other’s attractive qualities. Any type of work is acceptable – painting, sculpture, installation, performance, etc. Through Open Call for Art Project Ideas 2017, the museum sets out to support artists’ ambitious creative efforts and to provide them with a place to show their work. We look forward to receiving your proposal for a work or display that creates a new sense of allure in the museum.